Director George Cron and actors Terry Bloodworth and David Schmittou, discuss "Freud's Last Session." Sigmund Freud invited C.S. Lewis to visit his London home in 1939. Their wide-ranging discussion inspired Mark St. Germain's play "Freud's Last Session," now playing at Springfield Contemporary Theatre. That’s George Cron, director of Springfield Contemporary Theatre’s new production of Mark St. Germain’s play “Freud’s Last Session”, which opens this weekend at SCT Center Stage in Wilhoit Plaza. Joining Cron in our studio were his two actors, Terry Bloodworth and Actor’s Equity member David Schmittou. 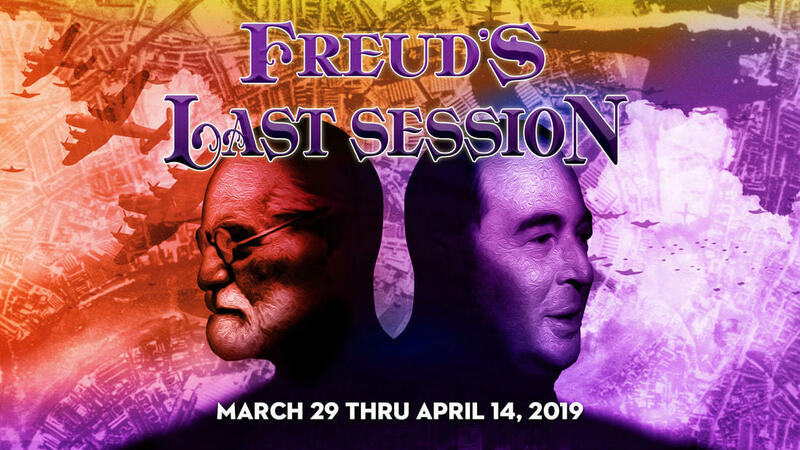 Performances of “Freud’s Last Session” are Fridays through Sundays March 29 through April 14 at SCT Center Stage: Fridays and Saturdays at 7:30pm, Sundays at 2:00pm. There is also a single Thursday-evening “Pay What You Can” performance on April 4. It, and the Sunday April 7 matinee, will both be followed by a talkback session with cast and director. Tickets range from $22-$27 and are available at 831-8001 or at www.springfieldcontemporarytheatre.org.